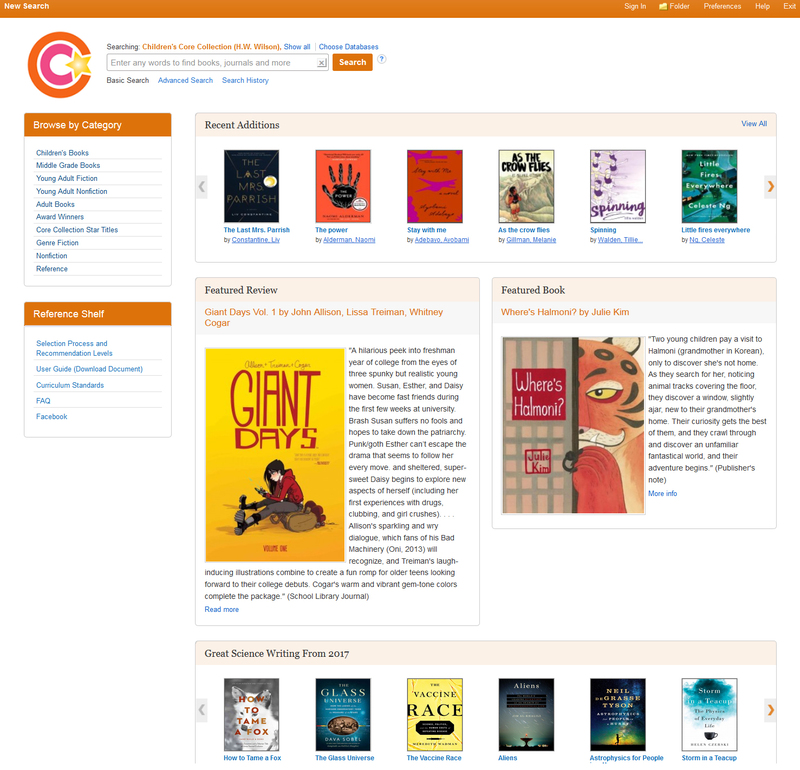 The Nonfiction Core Collection database provides more than 50,000 highly recommended reference and nonfiction books for adults, as well as plays and poetry. It is an ideal resource for libraries developing nonfiction collections. Created by subject librarians and covering a wide range of topics including health and personal finance, the Nonfiction Core Collection database is an ideal resource for collection development, readers’ advisory and curriculum support. The Nonfiction Core Collection database provides all metadata to aid in selection for larger libraries and subject-level collections. It includes features such as book review citations and excerpts, book covers, advanced searching and sorting capabilities and monthly content updates not available the print edition. Four recommendation levels include most highly recommended, core collection, supplementary materials and archival. The print edition is an abridgment of the database and contains listings for titles in two recommendation levels — most highly recommended and core collection — plus additional metadata and evaluative excerpts for making collection development decisions. New editions are published approximately every two years.